After years of effort by self-styled “global governance” advocates, the ICC, a supranational tribunal that could supersede national sovereignties and directly prosecute individuals for alleged war crimes, was agreed to in 1998. For ICC proponents, this supranational, independent institution has always been critical to their efforts to overcome the perceived failures of nation-states, even those with strong constitutions, representative government, and the rule of law. In theory, the ICC holds perpetrators of the most egregious atrocities accountable for their crimes, provides justice to the victims, and deters future abuses. In practice, however, the Court has been ineffective, unaccountable, and indeed, outright dangerous. Moreover, the largely unspoken, but always central, aim of its most vigorous supporters was to constrain the United States. The objective was not limited to targeting individual U.S. service members, but rather America’s senior political leadership, and its relentless determination to keep our country secure. The ICC was formally established in July, 2002, following the entry into force of the Rome Statute. In May, 2002, however, President George W. Bush authorized the United States to “un-sign” the Rome Statute because it was fundamentally illegitimate. The ICC and its Prosecutor had been granted potentially enormous, essentially unaccountable powers, and alongside numerous other glaring and significant flaws, the International Criminal Court constituted an assault on the constitutional rights of the American People and the sovereignty of the United States. According to the Rome Statute, the ICC has authority to prosecute genocide, war crimes, crimes against humanity, and crimes of aggression. It claims “automatic jurisdiction,” meaning that it can prosecute individuals even if their own governments have not recognized, signed, or ratified the treaty. Thus, American soldiers, politicians, civil servants, private citizens, and even all of you sitting in the room today, are purportedly subject to the Court’s prosecution should a party to the Rome Statute or the Chief Prosecutor suspect you of committing a crime within a state or territory that has joined the treaty. I was honored to lead U.S. efforts internationally to protect Americans from the Court’s unacceptable overreach, starting with un-signing the Rome Statute. At President Bush’s direction, we next launched a global diplomatic campaign to protect Americans from being delivered into the ICC’s hands. We negotiated about 100 binding, bilateral agreements to prevent other countries from delivering U.S. personnel to the ICC. It remains one of my proudest achievements. Unfortunately, we were unable to reach agreement with every single nation in the world, particularly those in the European Union, where the global governance dogma is strong. And last fall, our worst predictions about the ICC’s professed and overly-broad prosecutorial powers were confirmed. In November of 2017, the ICC Prosecutor requested authorization to investigate alleged war crimes committed by U.S. service members and intelligence professionals during the war in Afghanistan—an investigation neither Afghanistan nor any other State Party to the Rome Statute requested. Any day now, the ICC may announce the start of a formal investigation against these American patriots, who voluntarily went into harm’s way to protect our nation, our homes, and our families in the wake of the 9/11 attacks. The ICC Prosecutor has requested to investigate these Americans for alleged detainee abuse, and perhaps more—an utterly unfounded, unjustifiable investigation. To make matters worse, the Court’s structure is contrary to fundamental American principles, including checks and balances on authority and the separation of powers. Our Founders believed that a division of authority among three separate branches of government would provide the maximum level of protection for individual liberty. The International Criminal Court, however, melds two of these branches together: the judicial and the executive. In the ICC structure, the executive branch—the Office of the Prosecutor—is an organ of the Court. The Framers of our Constitution considered such a melding of powers unacceptable for our own government, and we should certainly not accept it in the ICC. Other governments may choose systems which reject the separation of powers, but not the United States. The ICC’s Assembly of States Parties cannot supervise the Court any more than the United Nations General Assembly can supervise the UN bureaucracy. It is antithetical to our Nation’s ideals. Indeed, this organization is the Founders’ worst nightmare come to life: an elegant office building in a faraway country that determines the guilt or innocence of American citizens. Second, the International Criminal Court claims jurisdiction over crimes that have disputed and ambiguous definitions, exacerbating the Court’s unfettered powers. The definitions of crimes, especially crimes of aggression, are vague and subject to wide-ranging interpretation by the ICC. Had the ICC existed during the Second World War, America’s enemies would no doubt be eager to find the United States and its allies culpable for war crimes for the bombing campaigns over Germany and Japan. The QUOTE “crime of aggression” could become a pretext for politically motivated investigations. Was the mission of U.S. Navy SEALs that killed Osama Bin Laden in Pakistan a crime of aggression? What about the U.S. and coalition strikes in Syria to protect innocent children from chemical weapons? How about U.S. military exercises with allies and partners around the world? Or Israel’s actions to defend itself on countless occasions? In the years ahead, the Court is likely only to further expand its jurisdiction to prosecute ambiguously defined crimes. In fact, a side event at the Assembly of States Parties recently included a panel discussion on the possibility of adding “ecocide,” environmental and climate-related crimes, to the list of offenses within the Court’s jurisdiction. 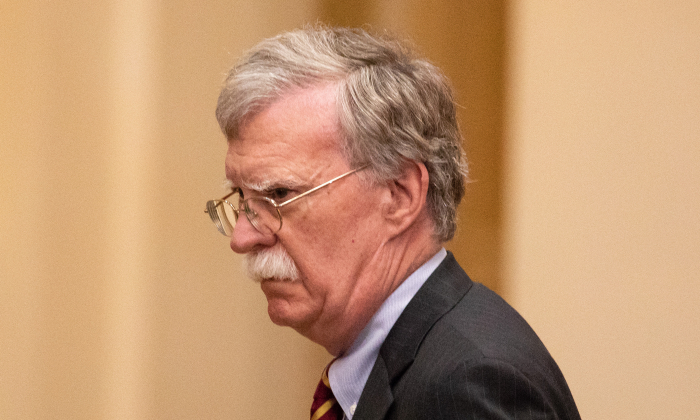 And here we come directly to the unspoken but powerful agenda of the ICC’s supporters: the hope that its essentially political nature, in defining crimes such as “aggression,” will intimidate U.S. decision makers, and others in democratic societies. The next obvious step is to claim complete, universal jurisdiction: the ability to prosecute anyone, anywhere for vague crimes identified by The Hague’s bureaucrats. The hard men of history are not deterred by fantasies of international law such as the ICC. The idea that faraway bureaucrats and robed judges would strike fear into the hearts of the likes of Saddam Hussein, Hitler, Stalin, and Gadhafi is preposterous, even cruel. Time and again, history has proven that the only deterrent to evil and atrocity is what Franklin Roosevelt once called “the righteous might” of the United States and its allies—a power that, perversely, could be threatened by the ICC’s vague definition of aggression crimes. Fourth, the International Criminal Court is superfluous, given that domestic U.S. judicial systems already hold American citizens to the highest legal and ethical standards. U.S. service members in the field must operate fully in accordance with the law of armed conflict. When violations of law do occur, the United States takes appropriate and swift action to hold perpetrators accountable. We are a democratic nation, with the most robust system of investigation, accountability, and transparency in the world. We believe in the rule of law, and we uphold it. We don’t need the ICC to tell us our duty, or second-guess our decisions. ICC proponents argue that robust domestic judicial systems are fully consistent with the Court because of the so-called complementarity principle. According to its supporters, the ICC functions only as a “court of last resort.” If nations have taken appropriate steps to prosecute perpetrators of crimes, the ICC will take no further action. And yet, there is little precedent for the ICC to determine how to apply the complementarity principle. How is the ICC Prosecutor to judge when this principle has been met? Under what circumstances will the ICC be satisfied? How much sensitive documentation would the ever-toiling bureaucrats in The Hague demand from a sovereign government? And, who has the last word? If it’s the ICC, the United States would manifestly be subordinated to the Court. If the ICC Prosecutor were to take the complementarity principle seriously, the Court would never pursue an investigation against American citizens, because we know that the U.S. judicial system is more vigorous, more fair, and more effective than the ICC. The ICC Prosecutor’s November 2017 request of course proves that this notion, and thus the principle of complementarity, is completely farcical. The ICC Prosecutor will pursue what investigations it chooses to pursue, based upon its own political motives, and without any serious application of the complementarity principle. Fifth, the International Criminal Court’s authority has been sharply criticized and rejected by most of the world. Today, more than 70 nations, representing two-thirds of the world’s population, and over 70% of the world’s armed forces, are not members of the ICC. Israel too has sharply criticized the ICC. While the Court welcomes the membership of the so-called “State of Palestine,” it has threatened Israel—a liberal, democratic nation—with investigation into its actions to defend citizens from terrorist attacks in the West Bank and Gaza. There has also been a suggestion that the ICC will investigate Israeli construction of housing projects on the West Bank. The United States will always stand with our friend and ally, Israel. And, today, reflecting Congressional concerns with Palestinian attempts to prompt an ICC investigation of Israel, the State Department will announce the closure of the Palestine Liberation Organization office here in Washington, D.C. As President Reagan recognized in this context, the Executive has “the right to decide the kind of foreign relations, if any, the United States will maintain,” and the Trump Administration will not keep the office open when the Palestinians refuse to take steps to start direct and meaningful negotiations with Israel. The United States supports a direct and robust peace process, and we will not allow the ICC, or any other organization, to constrain Israel’s right to self-defense. We will consider taking steps in the UN Security Council to constrain the Court’s sweeping powers, including ensuring that the ICC does not exercise jurisdiction over Americans and the nationals of our allies that have not ratified the Rome Statute. Thank you very much. I am now happy to take questions from members of the Federalist Society.